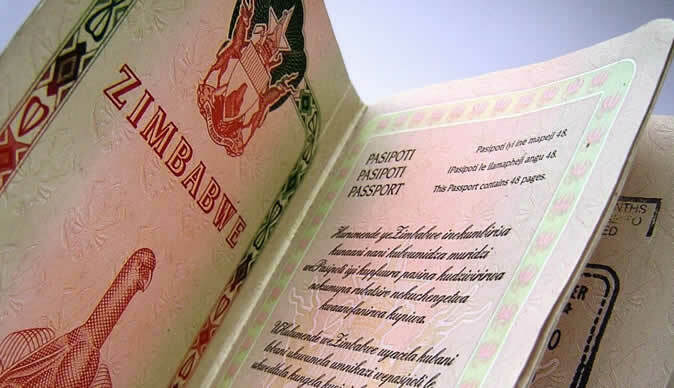 The Registrar-General's Office is co-operating with the Zimbabwe Human Rights Commission in its inquiries into allegations of delays in the issuance of passports and national identification documents. The investigations come after members of the public complained that the department was taking time to process passports and identity documents. In an interview, Registrar-General Mr Clement Masango said he was aware of the inquiries that were being conducted and assured the people that their offices were ready to serve. "I am aware the Zimbabwe Human Rights Commission is carrying out an inquiry following complaints by some members of the public or sections of community that they were getting challenges in accessing our services, especially getting IDs and birth registration for various reasons," he said. "However, I want to make it clear that as a department we are available in the manner that we are decentralised and available to serve everyone who calls at our offices. We don't discriminate, our offices are open because they are public offices." Mr Masango said they were taking their services to the Zimbabwe International Trade Fair and also exhibiting at all annual agricultural shows countrywide. "And when we exhibit we issue birth certificates on the spot and any other services that we can dispense outside the normal office, but obviously we can't process passports," he said. "What we can do is we issue passport forms. "But, however, in the circumstances I wouldn't want to comment on what the commission is investigating, but those concerns have been brought to our attention. "I would rather wait and allow the commission to carry on with its work and hear what they are going to come up with. What we have done is to collaborate with the commission on its inquiry. They visited us and we gave them audience to explain various processes done by the department." Mr Masango said the department will continue to discharge its mandate which is primarily to issue national ID documents, register birth and deaths, marriages and processing and issuance of travelling documents, passports and temporary travel documents. "The department is represented in all provinces, the 10 administrative provinces," he said. "We also have offices in 62 administrative districts and we have over 200 sub-offices countrywide. So, in terms of decentralisation I think we are fairly decentralised because we are almost everywhere. "Of course, we are aware of the need to further decentralise even though we have sub-offices in districts, there are still areas were our people have to travel for more than 30 kilometres to get to the nearest office of the Registrar-General in the district. Government is attending to that."